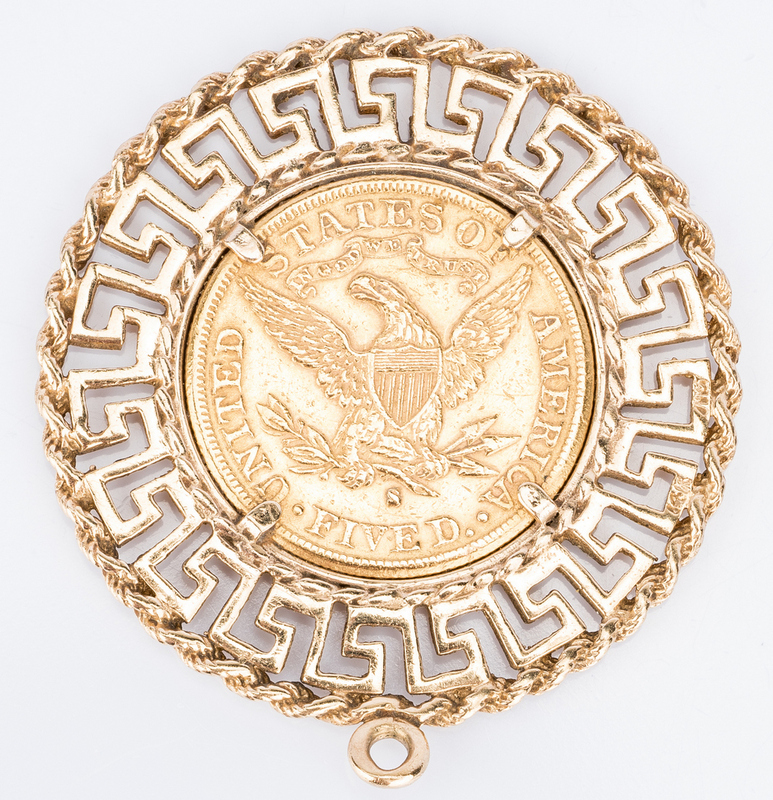 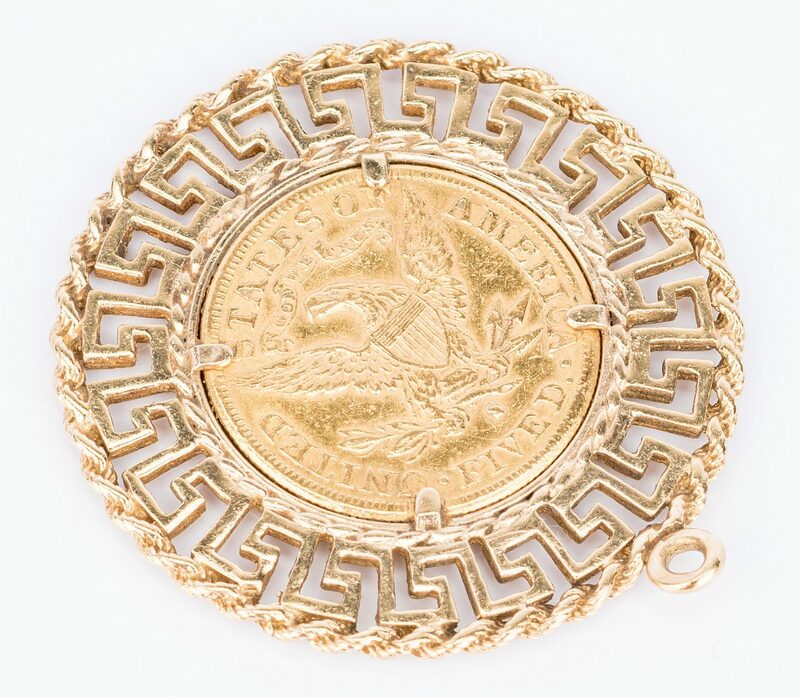 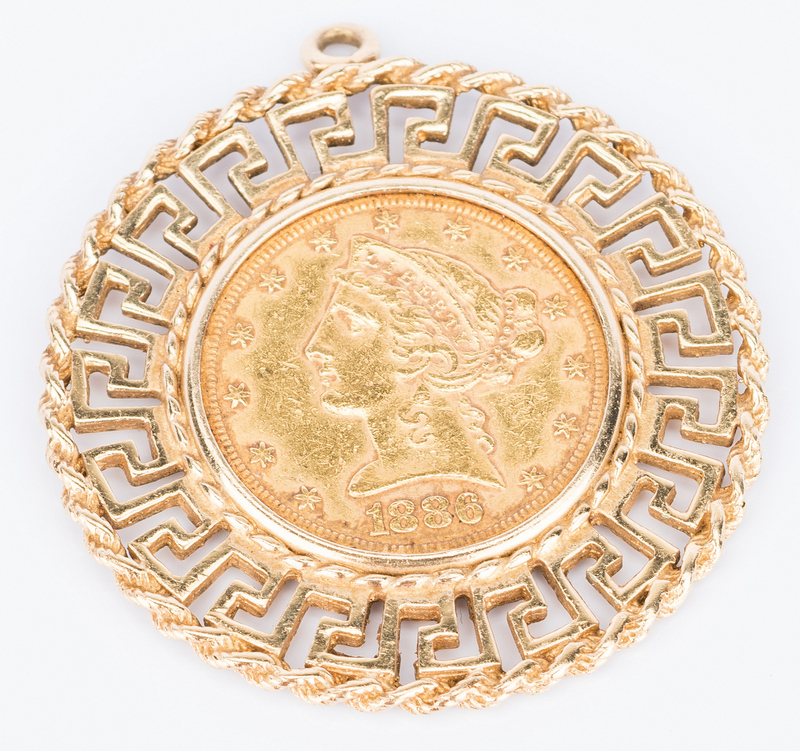 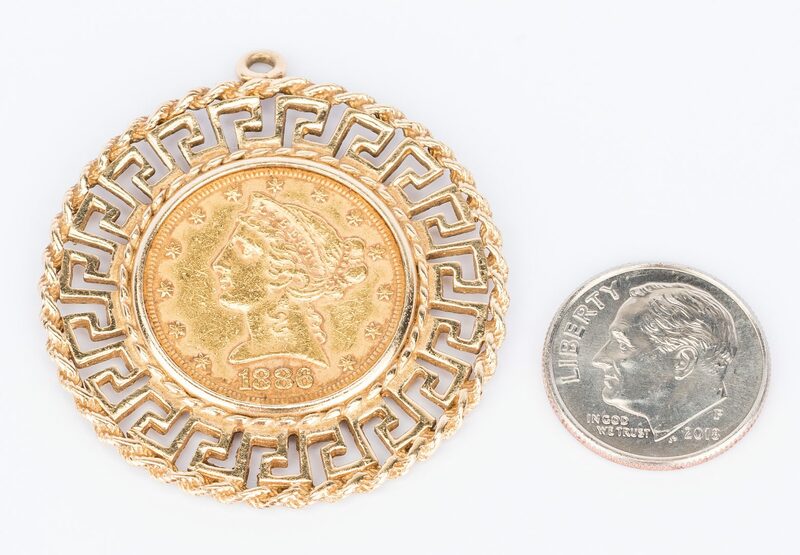 1886 Liberty Head five dollar gold coin, (0.900 fineness) mounted in 14k yellow gold Greek key and rope bezel frame, 1 1/2" diameter overall. 15.6 grams total. 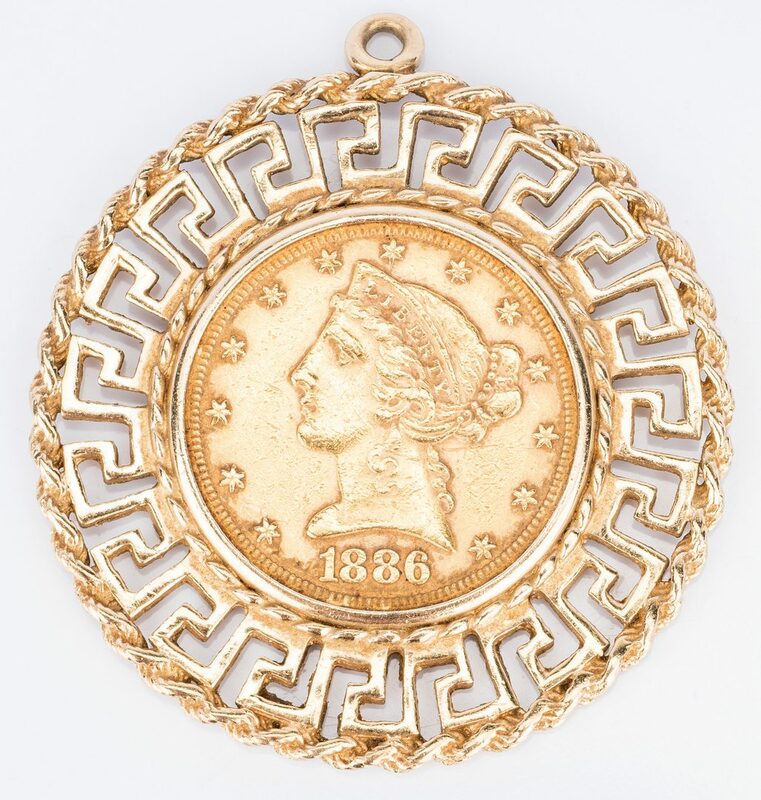 Provenance: Private Knoxville, TN estate. 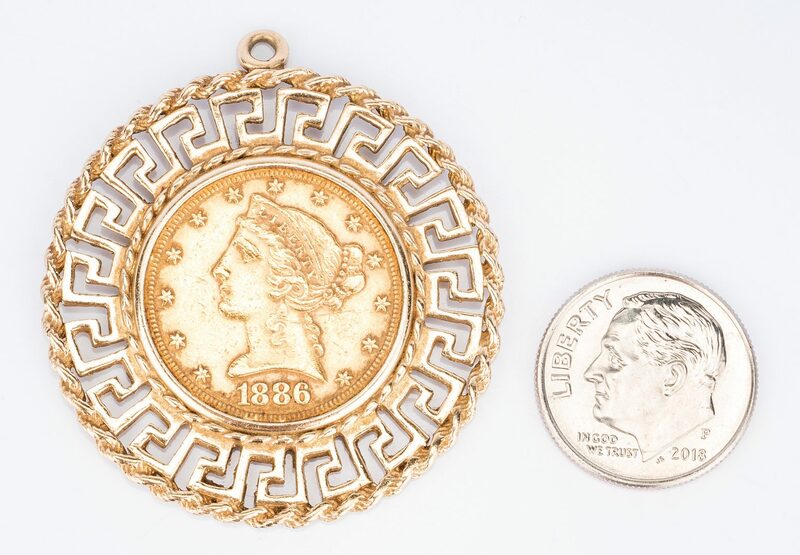 CONDITION: Coin in circulated condition. Minor surface wear to frame.